The leader of the Iranian opposition, President-elect of the National Council of Resistance of Iran (NCRI) urged European leaders to end their financial support for the Iranian regime. 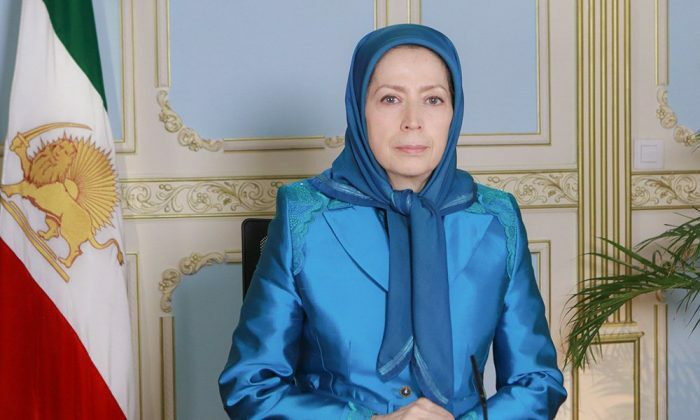 Maryam Rajavi, the charismatic and influential leader of the Iranian opposition movement, addressed the Iran Uprising Summit in New York via a video link. The summit attracted more than 1,700 activists and MEK-supporters, eager to hear Maryam Rajavi and other prominent speakers including former New York Mayor Rudy Giuliani. Ms. Rajavi took the opportunity to condemn recent human rights abuses from the Iranian regime. She said, “in committing these crimes, the mullahs are testing Western governments”. She went on to assert that should Western leaders respond to these tests with inaction, it will embolden the regime and “intensify the regime’s terrorist actions”. She then urged governments in Europe to close their Iranian embassies. The failed terror attack in Paris this summer exposed an elaborate network of Iranian embassies secretly involved in the planning and execution of terror plots. She also had a message for the United Nations Security Council, which will meet on September 26th to discuss the Iranian regime. Rajavi said, “I must recall the demands of the Iranian Resistance underscored many years ago. It is an urgent imperative that the Security Council addresses the flagrant violations of human rights in Iran, especially the torture and massacre of political prisoners, and the regime’s export of terrorism and warmongering in the Middle East region”. 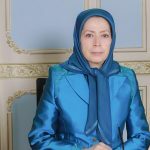 For Maryam Rajavi, the best way to end the regime’s torture and massacre is by cutting its financial lifelines. The regular financial assistance from the West is funneled into the Islamic Revolutionary Guards Corps and the Quds Forces. It enables these military groups to play an active role in Syria, Yemen, and Lebanon, fuelling unrest and violence in the Middle East. The event opened with a tribute to John McCain. McCain was actively involved in rescuing the MEK members during the time they were in Camp Liberty in Iraq. Rudy Giuliani, in a heartfelt message, recounted a time when McCain admitted that he would not live to see a free Iran, but urged Giuliani to continue the fight and take his place. The event brought Iranians and MEK supporters together from across the US and beyond. There were uplifting messages of hope, particularly from the young people in attendance. A highlight of the summit was a 15-year-old girl who told the crowd, “I have never been to Iran, where my parents met. But one day I will visit a free Iran.” But first, Europe must cut the regime off.